Most of the major cycling countries are having their national championships through June 26. Here's where I'm posting the results. If you are interested in historical national champ info, here's a lot of data. ORICA-GreenEDGE has confirmed the nine-man team for this year's Tour de France and head into the race with an experienced squad, targeting stage victories. In 2015, the team suffered awful misfortune on day two of the race, losing three riders to injury before battling on to seven top ten results with a depleted six-man team. Sport director Matt White is happy with the combination of experience and talent in this year's team and is looking forward to better fortune in the weeks to come. "We have a great degree of flexibility, experience and talent in the team for the Tour," said White. "I am happy with the combination of riders and it gives us an exciting mix of options for the three weeks ahead." "Our objective is to target stage wins and we will be approaching every day like it's a classic. We have a robust, versatile roster that can cope with the big effort required to compete and win in the Tour de France." 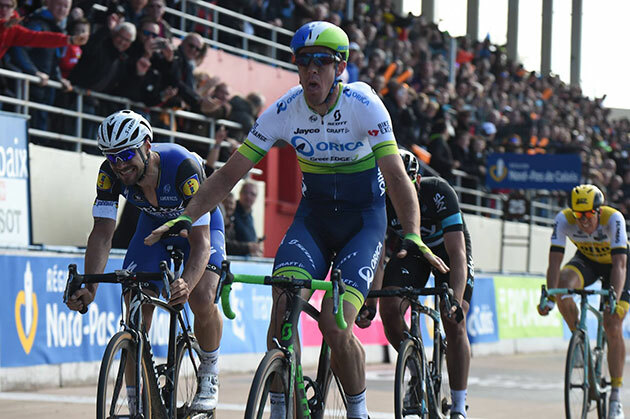 The nine-rider lineup includes 2016 Paris Roubaix champion Mathew Hayman, making his second appearance at the Tour. The ORICA-GreenEDGE road captain's wealth of experience will be vital at this year's race with the team singling out specific stages to achieve results. "Mathew (Hayman) is our road captain and his leadership and experience will be important to us throughout the race," explained White. "Simon (Gerrans) has the most experience at the Tour de France for ORICA-GreenEDGE with stage wins in 2013 and 2008 and we will be looking to him to increase that tally." Gerrans started the season brilliantly by winning his fourth Santos Tour Down Under title and returns to the Tour looking to repeat his 2013 success. A win in Corsica by Gerrans followed by an ORICA-GreenEDGE team time trial victory in Nice gave the Australian team its first Tour de France yellow jersey. "Simon has had great preparation throughout June with stints at altitude and racing at the Dauphine," White said. "He performs very well under pressure and has the ability to come up with the goods when the big goals are set." Michael Matthews and Adam Yates complete the trio of protected riders alongside Gerrans. Matthews will be aiming to reproduce his Paris-Nice form, winning two stages and the point's jersey. The 25-year-old comes into the team directly from an intense period of training and fine tuning at the Tour de Suisse. "For Michael (Matthews) last year's Tour was somewhat of a disaster, fracturing his ribs on day two," said White. "Even with these unfortunate problems Michael soldiered on bravely which ultimately gave him valuable experience to show how far he could push certain barriers. He is super motivated to perform well here for the first time on the biggest stage in the world." Yates will be appearing in his second Tour de France and rode impressively at this year's Criterium du Dauphine. Finishing third in the mountains against a world-class field on stage five and taking seventh on the overall general classification. "Adam (Yates) will be our guy for the mountains. There is no pressure to compete for the overall, that's not our objective," stated White. "One door closes and another opens, there are lots of stages that will suit Adam in this years race. He is only 23 and this is a vital part of Adam's progression. He is versatile and can go head to head with the best of the climbers and this experience will be important for him." Spanish all-rounder Ruben Plaza has competed in ten grand tours including finishing in fifth place overall at the 2005 Vuelta a Espana, winning the stage to Gap in last year's Tour de France and a top ten overall finish in 2010. Plaza will work in tandem with Yates in the mountains and will provide the team with an interesting option for the breakaway days after his strong rides in this year's Giro d'Italia. Swiss stalwart Michael Albasini and 2013 yellow jersey wearer Daryl Impey give ORICA-GreenEDGE additional versatility in support of Gerrans and Matthews and more strong options for stages that are suited to the opportunist. Already this year Albasini has produced an impressive second at Liege-Bastogne-Liege and win on stage five of the Tour of Romandie after a dynamic move from a breakaway. Impey has also been showing good form ahead of the Tour, racking up two top-ten finishes at the recent Criterium du Dauphine and three top-five results at the Volta Ciclista a Catalunya. Former Australian champion Luke Durbridge and 2015 Tour of Denmark winner Chris Juul-Jensen complete the lineup for ORICA-GreenEDGE, with Durbridge returning for his third appearance in 'La Grand Boucle'. Juul Jensen is making his debut in the race and, together with Durbridge, forms the beating heart of the team's engine room. The two strong men will shoulder the huge workload required to give the team opportunities for victory throughout the race and also give the team options to roll the dice in the breaks. The Tour de France takes place from the 2nd to the 24th of July and covers 3,535 kilometres. It is the 103rd edition of the truly historic race and for the first time in history, it begins in the department of Manche in the region of Normandy. While most of the cycling world's attention is focused on the Tour de France with the Grand Départ in Mont-Saint-Michel this weekend, the biggest stage race on the elite women’s calendar, the Giro d'Italia Internazionale Femminile will get underway this Friday. Contested over ten stages starting with a prologue, followed by nine road stages, including an individual time trial, this year’s race covers 856km. The course features plenty of opportunities for the sprinters, climbers and attacking opportunist and Team Liv-Plantur will challenge on all fronts. Coach Hans Timmermans (NED) said looking ahead to the race: "This year's 27th edition is very tough with a lot of climbing added to the course. We have one main goal and that is to go for stage results. The general classification is not a specific focus for us. "For Leah it will be the first big stage race at the Giro Rosa so it will be a great experience for her. She is in good form at the moment after taking the bronze medal at the Canadian Road Race. The plan will be to set Leah up for the sprint finishes when the race comes back together and we have a reliable team supporting her capable of getting her in the best possible position in the finale. On top of that we have strong options, for example with Carlee and Rozanne who are good climbers and can join a break during the mountain stages and aim for a stage success." Team Giant-Alpecin heads to this year’s Tour de France once again with the goal of stage success in the sprint stages with a difficult finale, the intermediate stages and the mountain stages. In addition, the team aims to further develop its riders and enhance the quality of the entire team, with an increasing focus on the overall classification. 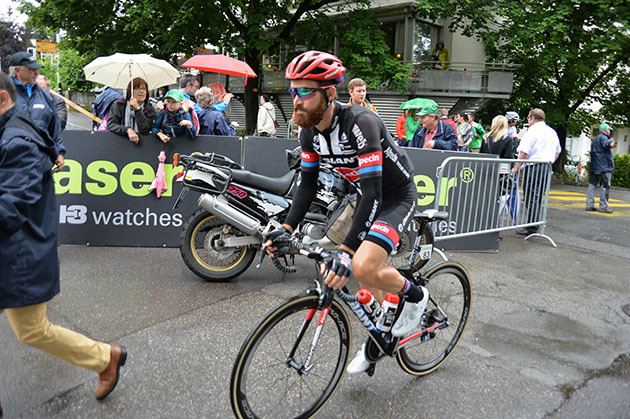 Simon Geschke (GER), who took a fantastic victory in last year’s stage 17, will be lining up for his fourth Grande Boucle. French climber Warren Barguil, who finished 14th in his Tour debut last year, will be looking to take another step forward in his long-term GC development and will aim to improve on this result. Also in the lineup is John Degenkolb (GER), who will focus on the sprint stages with a tough finale. Degenkolb has had a difficult comeback from the training accident in January. He has shown a great deal of dedication and hard work in making his return to competition, and he made good progress over the last few months of racing at the Amgen Tour of California and the Critérium du Dauphiné. Following the Giro d’Italia, the team identified participation in the Tour as the ideal next step toward Tom Dumoulin’s (NED) second goal of the season, in Rio. Dumoulin will be primarily focusing on stage results. Laurens ten Dam (NED) is set to make his eighth appearance in the Tour de France and his first with the team. He will bring crucial experience and will provide valuable support in the mountains. Georg Preidler (AUT) showed his potential during this year’s Giro d’Italia with a third place in the queen stage, one of three top-10 results for him in the Giro. Team Giant-Alpecin’s lineup for its sixth start at the Tour is completed by road captain Roy Curvers (NED) and trusty lead-out men Ramon Sinkeldam (NED) and Albert Timmer (NED). Coach Aike Visbeek (NED) said ahead of the Tour: “Our goals will be to go for a stage victory, as we see several opportunities to achieve that, and also to explore our possibilities in the GC with Warren. We have made a long-term plan with him, aiming to develop his general classification performance over the next few years. This will be his second appearance in his home Grand Tour, and we believe a top-15 is again a realistic target for him. 27 June 2016, Santa Rosa, California (USA): Brent Bookwalter has extended his contract with BMC Racing Team and is set to line up for his tenth season with the team in 2017. Bookwalter joins Danilo Wyss as the longest-serving rider with BMC Racing Team, General Manager Jim Ochowicz said. “Brent has been part of the BMC Racing Team family for a long time and we have seen his career go from strength to strength during this time. Particularly in the last few years, Brent has enjoyed some fantastic results, and given the long-standing partnership between Brent and BMC Racing Team we didn’t hesitate to extend his contract,” Ochowicz said. 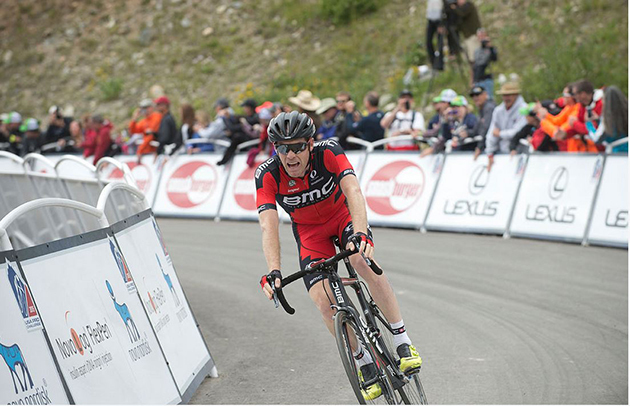 Bookwalter said it has been special to see his career grow at the same time as BMC Racing Team. “Over the past nine years I have felt that a really good relationship between BMC Racing Team and myself has developed. We have both come a long way since then. Back in 2008 the team was in a totally different place than it is now and I was a much younger, less experienced, different rider too. So it’s been rewarding to have that continuity, to really grow and develop together,” Bookwalter explained.